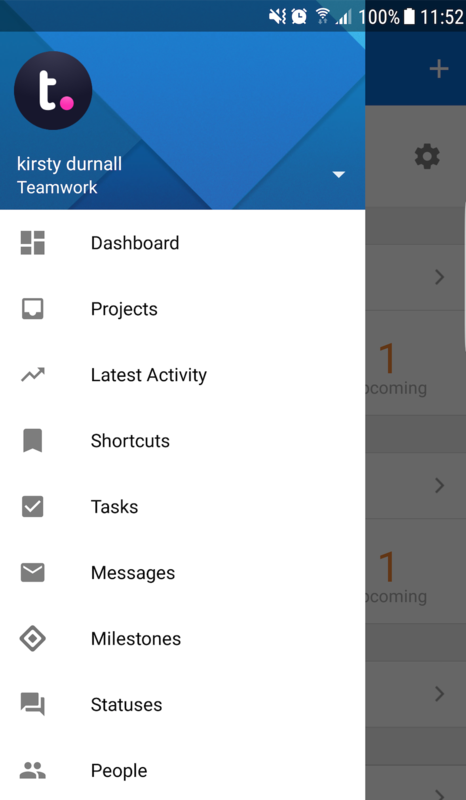 Within Teamwork Projects, you can add new files to your projects via the Projects Android mobile app. 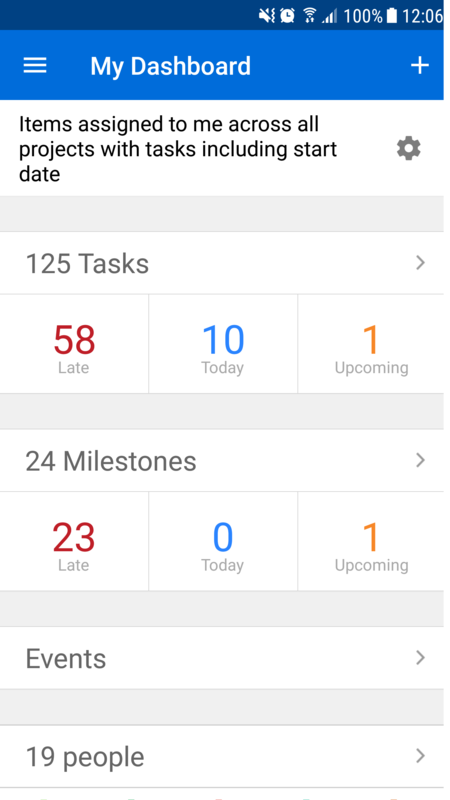 From here you will see a list of all of your current projects. 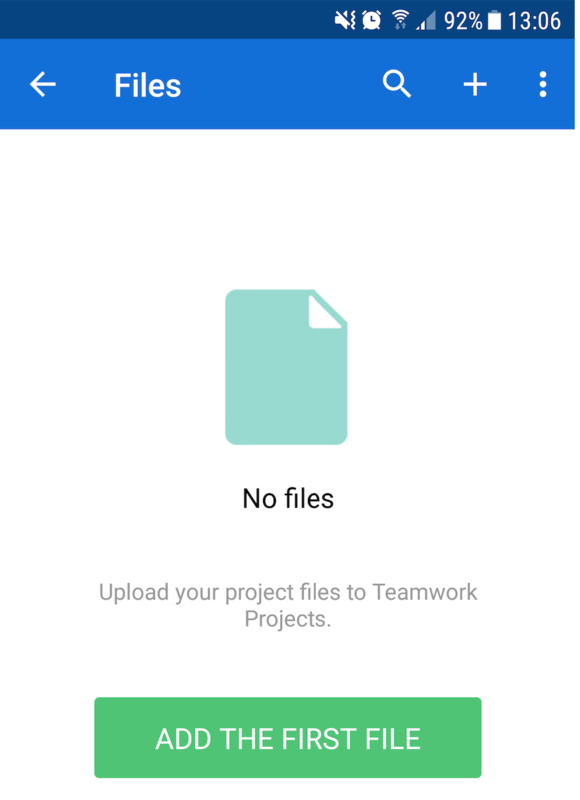 Select the project you wish to add a file to and you will see the icons for the different project items and features. 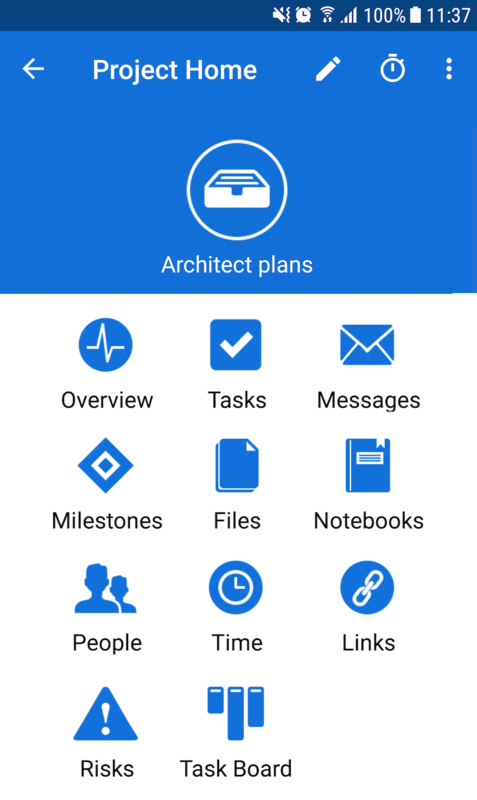 Select the 'Files' icon to open a list of all of your current files within the project. If you do not currently have any files, you will see an option in the middle of the screen to Add the first file. Alternatively, select the + in the top right of the screen. 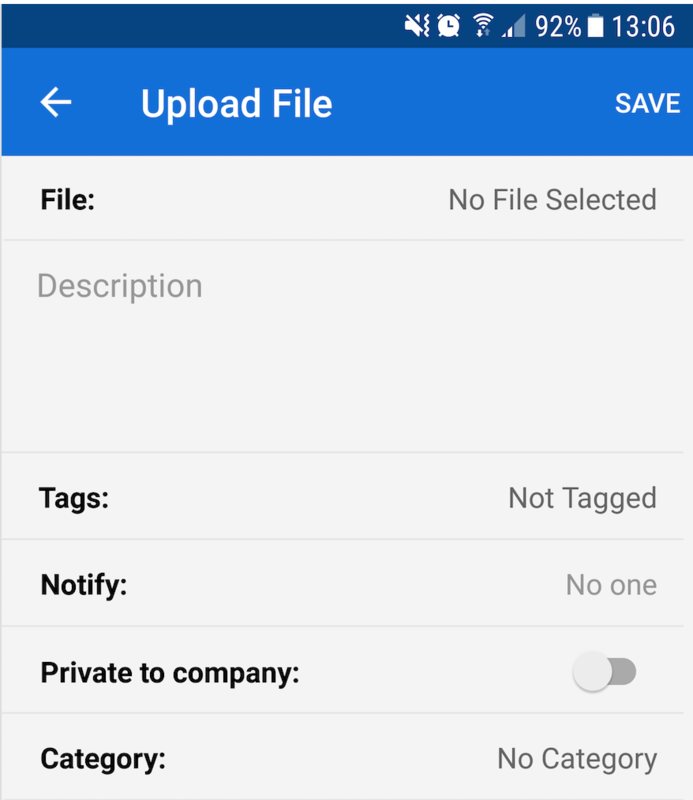 The ‘Upload File’ modal will open and you can select the file to upload and its description. You can also set properties for the file such as tags, who to notify and privacy. Click Save in the top right to upload the file. 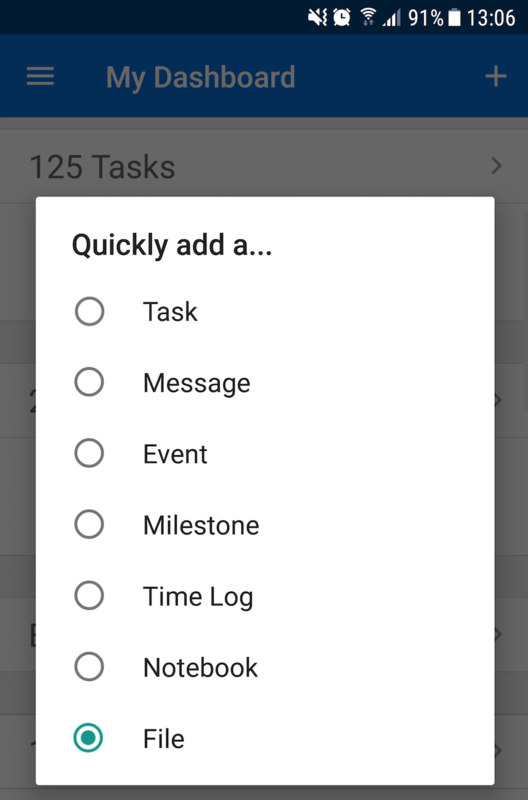 You can add a new file via the Dashboard using the quick add + menu in the top right of the screen. In the quick add pop up menu that appears, select File to upload a new file.